The start of the Fall 2018 Semester is fast approaching, and I just wanted to highlight some important information about Turning Point. Canvas Integration. Turning Point 8 has only been integrated with Canvas, and will not work with Desire2Learn. All Turning Point usage for the Fall 2018 semester should be done in Canvas. Here is a quick overview of some discoveries and workarounds that we have found with TurningPoint Cloud. When you obtain the participant list, the first name and last name fields are switched for users that do not have an active license. This issue is under active investigation by Turning Technologies and we hope to have a resolution soon. Participant lists are now locked when they are retrieved from D2L. If students incorrectly input their device ID, they must update it on the clicker registration site. Once that is complete, you can “update” the participant list to retrieve the additional information. TurningPoint Cloud Icon is now available on the desktop in classrooms. TurningPoint Cloud is installed on all classroom machines. Initially, the icon was not available on the desktop but we have resolved this issue and the shortcut should again appear on the desktop like previous versions. My student purchased a license but is still not showing in the participant list, what’s going on? We have noticed a number of students are buying a license directly from the Turning Technologies Dashboard, but are not clicking on the link in D2L. Make sure your students are clicking on the link through D2L. This links the students D2L account to the Turning Technologies account and should resolve the issue. If you have any additional questions or concerns regarding TurningPoint cloud, please contact Elaina Barr or Aaron Axelsen at 262.472.1004 or ltc@uww.edu. Turning Technologies will be offering a series of complimentary webinars to help acclimate current users to their newest software, TurningPoint Cloud. Learn about new features and enhancements that have been introduced from customer feedback to effectively engage students, measure understanding and track progress. The topics included are “Creating an Account”, “Downloading Software”, “Starting a ResponseWare Session”, and “Differences between Softwares and Reports”. If you have any other questions or concerns, please feel free to email us at ltc@uww.edu . On Tuesday April 26th at 11:00am, the LTC will be holding a workshop to introduce the newest version of our Student Response System, Turning Point Cloud. This session will talk about the relevant updates to TurningPoint Cloud, including the licensing model changes. This change will impact all clicker users. As the Fall semester approaches, we wanted to let you know about several new changes to our Clicker software. During the summer, we upgraded to TurningPoint 5. 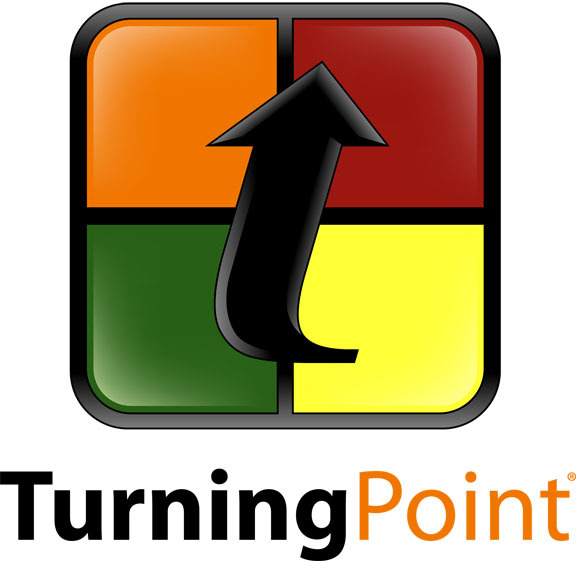 With this new version of TurningPoint, Turning Technologies has taken its available clicker software, such as TurningPoint, TurningPoint Anywhere, Results Manager, etc., and combined it into one singular program. Along with this change, some of the common processes you may have used to conduct your clicker sessions have changed slightly or have had their locations changed. Please see our What’s New in TurningPoint 5 wiki page for more details. With this upgrade, we were also able to implement Clicker integration with D2L. This integration allows students to register their clicker keypad or ResponseWare license through D2L and allows you to retrieve participant lists through D2L as well. For steps on how students register their clickers, please see the TurningPoint 5: Registering Your Clicker wiki page. For steps on how to retrieve a participant list, please see the TurningPoint 5: Retrieving a Participant List wiki page. Turning Technologies also migrated ResponseWare accounts during the summer, and if you didn’t receive an email with a migration link from them to the email account you used to register, you will need to use the Forgot Password link on their site to get a new link. For more detailed information on this, please visit our ReponseWare Migration blog post. As a reminder, if you haven’t done so already, please stop by the Learning Technology Center (McGraw, room 120) to swap out your old clicker hardware (receivers, clicker keypads, etc.) for a new kit as soon as possible. The old hardware is NOT compatible with the latest version of TurningPoint. We still have plenty of kits for the current user group and for several new users if there is interest. 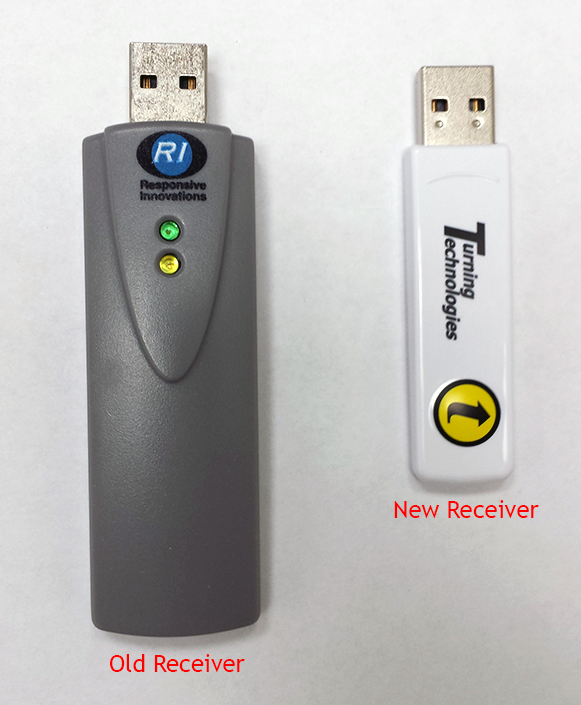 To see what the new receiver looks like compared to the old one, see our previous Clicker update blog post. 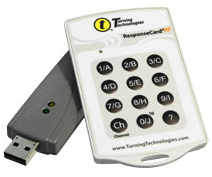 If you have any questions on TurningPoint 5 or clickers, please contact the Learning Technology Center. During the summer, Turning Technologies updated their ResponseWare service, and because of the change, all ResponseWare accounts need to be migrated over to the new service. If you’ve previously signed up for a ReponseWare account, you would have received an email from Turning Technologies to the email address you used during the sign up (most likely your UW-W email account). The email will include a link to follow to migrate your ResponseWare account. If you haven’t received an email from Turning Technologies to migrate your account, you can visit the Account page for ResponseWare and click the Forgot Password link. Do NOT make a new account from this page. Enter in the email address you used to register for a ResponseWare account in the forgot password screen, and you’ll receive a new email with a link to migrate your account. If you have any questions or concerns regarding the ResponseWare migration, please contact the Learning Technology Center. In preparation for the upcoming upgrade to TurningPoint 5 during the Summer 2014 semester, the Learning Technology Center has received replacement kits from Turning Technologies that include an updated receiver and a clicker keypad. Instructors and staff who have been using the TurningPoint Student Response System (SRS) in past years will need to exchange their current hardware (receivers, clicker keypads, etc.) for the new kits. The updated hardware in the kit is compatible with the current versions of TurningPoint and TurningPoint Anywhere that we are using on campus, so there shouldn’t be any issues after switching. Please drop by the Learning Technology Center (McGraw, room 120) to swap out your old clicker hardware for a new kit as soon as possible. We have plenty of kits for the current user group and for several new users if there is interest. Any questions or concerns can be directed to the Learning Technology Center via email. If you plan to use student response system (aka “clickers”) technology in your summer course, please contact the LTC to register. Classes using clickers must be added to the Clicker Registration application so that your students can register their clickers and you can retrieve a class participant list for use in TurningPoint. If you have courses you would like added to the Clicker Registration application, please provide the LTC with your course name and number. If you have multiple sections, please also specify if you prefer to have your course sections combined or separate. 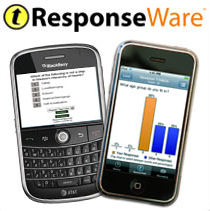 UW-Whitewater also offers ResponseWare, an “app” that allows students to use their smartphones, laptops, and other Internet-connected devices rather than a clicker keypad. 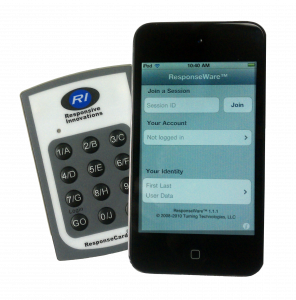 The reduced cost for students to use an app versus purchasing a clicker keypad can be significant. 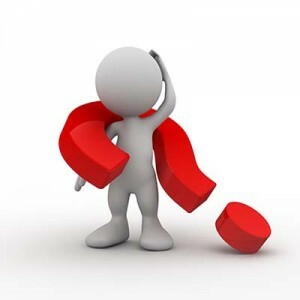 If you are interested in using ResponseWare in addition to using clickers, but you do not yet have a ResponseWare account, please contact the LTC for setup. The Learning Technology Center (LTC) is pleased to invite faculty and instructional staff to attend the next free session in the Snackable Series “Technology – One Byte at a Time.” In the “Snackable Series” sessions, a specific learning technology is spotlighted. Use of a student response system can transform a standard PowerPoint lecture into a powerful, interactive presentation that engages students in interactive learning. Through the use of a clicker keypad, or the new clicker mobile app, student responses can be captured and immediately displayed from within your PowerPoint presentation. To submit ideas for future topics for the “Snackable Series”, please e-mail the UW-Whitewater Learning Technology Center at ltc@uww.edu.